ORIGINAL UK EARLIEST EVER POSSIBLE 1ST PRESS FROM 1971 ON THE ORIGINAL UK "MAM AS-1005" RECORDS LABEL! ORIGINAL UK 1ST PRESS "LAMINATED" COVER!!! COMES WITH THE ORIGINAL INNER SLEEVE! MATRIX: XZAL-10739.P-2W & XZAL-10740.P-1W (STAMPED MATRIXES) EARLIEST EVER POSSIBLE! A SUPERB COPY!!! IN THIS SUPERB CONDITION LIKE THIS ONE!!! THIS IS JUST IMPOSSIBLE!!! 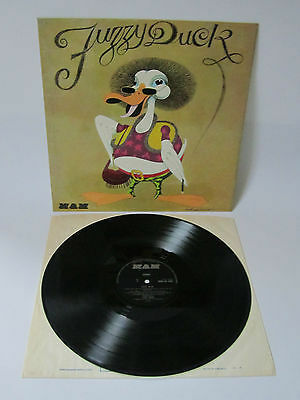 WHAT A BRILLIANT AND MONSTER RARE UK PROG LP!!! SHIPPING IS NOT FREE! PLEASE WAIT FOR THE INVOICE!!! PAYMENT VIA PAYPAL OR BANKTRANSFER WITHIN 5 DAYS AFTER AUCTION! ALL RECORDS WILL BE SENT BY REGISTERED SIGN FOR AIRMAIL WITHIN 3 DAYS AFTER PAYMENT ARRIVED!! !